Julian Assange is on media a roll, and may go a step too far by triggering financial armageddon as the worlds economies have already virtually bankrupted themselves by bailing out their bankrupt banks and therefore are not any shape to embark up on a new series of mega bailouts as a consequence of new information released, especially as the financial markets will not wait for explanations but seek to act immediately to discount the risks implied by new exposures, which given the size of the $1.4 Quadrillion global derivatives market, would not take much in terms of further off balance sheet losses exposure to trigger a collapse of the whole global financial system that no country is big enough to bail out. The Dollar has apparently benefited hugely as a consequence of the Eurozone debt crisis of the past few weeks by rising from a low of 76 in early November to a high of 81 today, which is being taken by many to infer that the dollar has entered new bullish phase that possibly targets a bull run to as high as USD 90. However the trend whilst coming as a surprise to the dollar collapse merchants and triggering the emergence of a new bullish consensus, is inline with the last in depth analysis and trend forecast into Mid 2011 (12 Oct 2010 - USD Index Trend Forecast Into Mid 2011, U.S. Dollar Collapse (Again)?) 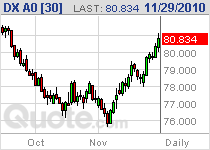 that forecast a bullish trend for the USD from 76 to target USD 80 by early December. Therefore the forecast path for the dollar should now be for the primary downtrend to resume towards a Mid 2011 target of between 69-70. 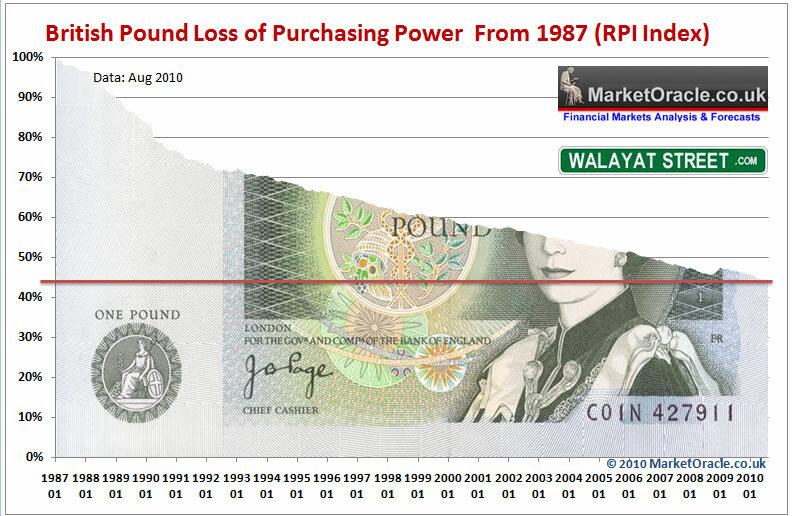 Similarly Sterling should resume its uptrend against the US Dollar which targets a trend to £/$1.85 by mid 2011 (04 Oct 2010 - British Pound Sterling GBP Currency Trend Forecast into Mid 2011). Therefore todays low of 1.5530 should should represent the approx low point for the whole move from 163.